I let people select multiple options from this after they search for it One problem I notice is that it is not immediately obvious which items have been selected. Should I add a button that says show selected, how does filtering work with that? Should I add a checkbox saying show selected, what happens during filtering? 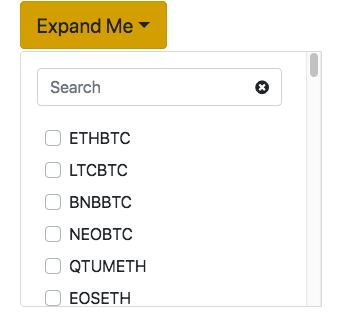 Should I add tags below this searchbox where each tag has a delete button and shows the selected item? Here is another way to rephrase the question, what is the easiest way the user will see their selected options in this? Filter Tags: No need for users to click to expand the dropdown. They can see which ones are applied and remove them if wanted. 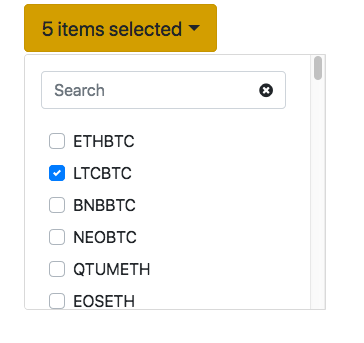 Summary of Selected Filters: Group selected options in a specific section towards the top, while repeating them in your list. Not the answer you're looking for? Browse other questions tagged usability usability-testing checkboxes dropdown drop-down-list or ask your own question. Button labels: Select versus Selected? or Deselect? How to best filter data with multiple toggle buttons?